Making extra cash online is actually possible and easier than you think. While you won’t make millions, you can make enough to pay for one of your monthly bills or save up for something you really want. Some people think that everything online is a scam and not worth your time. I have seen it all… scams, legit websites, and sites that are just not worth it. I am always on the lookout for ways to make money online…. quick and easy ways as well as full time income opportunities. But recently I came across a new website that offers pay for taking short (I mean really short) tests/surveys. I’m sure you have tried out a survey site that promises great money in return for taking a survey…. only to waste your time realizing that you are “not qualified” for the survey. I HATE when that happens!! Immediately after signing up with UserCrowd, I realized that this was different and not likely to waste my time. Every survey/test was quick (less than 4 questions and 2 minutes tops). Sign up is easy and only takes a few minutes. Fill out a few details about yourself and establish a log in and you are good to go. One thing that I would recommend is that you set up notifications for when tests are available. The reason this is important is because the tests are only available for a short amount of time. Once they have enough responses the test will no longer be available. So you want to be sure to get notified of when there is a chance to make some money. You can easily do this by going to the settings area and clicking on notifications. This will notify you even if you don’t have UserCrowd open in a window. There is also an option to receive an email notification. Simply choose which one you want and set up the hours of the day that you wish to be notified. Once a test is available, you just click on the button and you will be taken to the question area. Most of the time the tests are about web page layouts or mobile application functions or brand logos. For example, you will be asked to look at several logo designs for a product and then choose which one you like best. That’s it!! For this simple test, you usually receive anywhere from $0.10 to $0.20. That’s quite a lot if you consider that these tests take less than a minute to complete. Other tests that have multiple questions (usually no more than about 5) can bring in about $0.60 per test. It is very easy to build up your balance to the minimum required for payout (currently $10). I have been averaging $10 every week or so. Payments are made through PayPal, which makes it very convenient and easy. I simply request a payout once I reach the $10 minimum balance and it gets deposited to my account within a few days. In the meantime, I continue taking tests and build my balance up again. I like to use several different survey/task sites to earn extra money and one of the other websites I use on a daily basis is Inbox Dollars. Each site has its own unique attributes which is why I like them and have them in my portfolio. What makes UserCrowd different from a site like Inbox Dollars is that you can only make money from one source (taking tests). With Inbox Dollars, you can earn money several different ways. However, you don’t get paid very much with Inbox Dollars. It takes a lot longer to get to their minimum payout of $30. They also pay through a written check, which takes a little longer as it has to go through the mail. 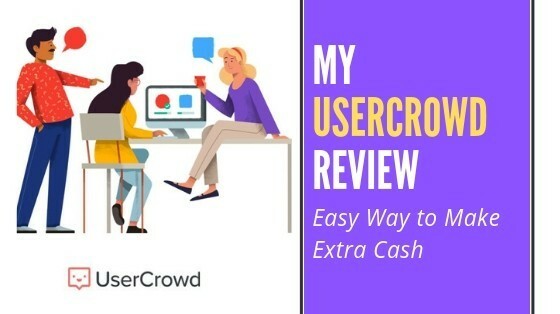 Personally, I think UserCrowd is slightly better than Inbox Dollars because you can earn money so much quicker and quite frankly easier. Don’t get me wrong, Inbox Dollars is a great resource and I’ve earned a lot of money with them. They also have a referral program that allows you to earn even more by referring others to join. UserCrowd does not have this option (at this time). As with any program, there are pros and cons that need to be evaluated. With UserCrowd, there really aren’t too many cons. It’s simply a way to earn a little extra money. 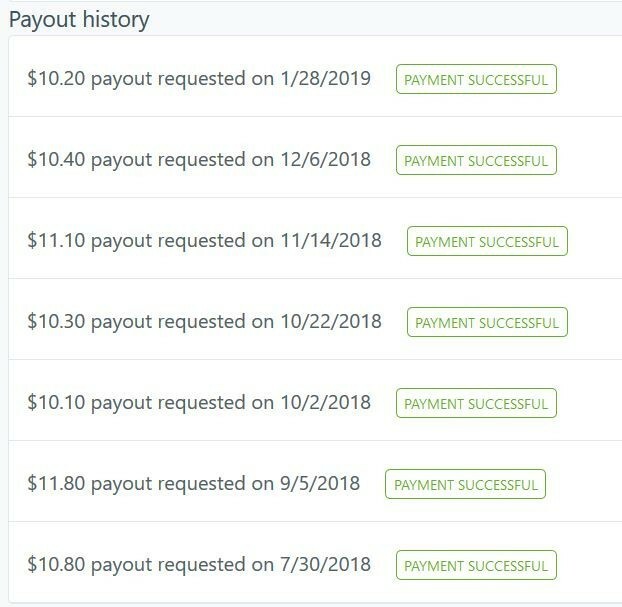 I have only been using UserCrowd to make extra money online for about 5 months, however I’ve already cashed out 7 times and at the time of writing this I’ve made over $74. I feel like I could have made a lot more if I had realized sooner that I need to set up notifications and make sure to take the tests as soon as they are available. This is super important and why I mentioned it earlier. Now I understand that I’m not going to become a millionaire using this platform, but that’s not my goal here. I just want to quickly and easily be able to make a little extra cash and UserCrowd is the perfect website to do this. My full time income comes from my Affiliate Marketing business, so I’m not expecting UserCrowd to pay my bills or anything. 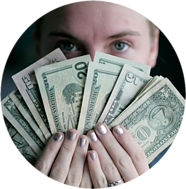 If you are looking to create a full time passive income online than I suggest you check out the program that I use… It’s called Wealthy Affiliate and it has everything you need to build a successful online business. Making money online doesn’t have to be hard. In fact, with websites like UserCrowd, you can easily make money by spending just a few minutes per day on the site. 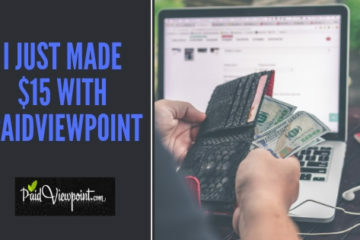 Obviously this is not going to be enough to make a full time income, but we all could use a little extra money from time to time and when it is this easy, I don’t know why you wouldn’t give it a try. The way I look at it is that if I see a quarter or a dollar bill on the sidewalk, I take the time to walk over and pick it up. It’s money after all. No its not going to pay my mortgage, but its still money that I can spend. The same is true of UserCrowd… just spend a little time taking a few tests and before you know it you have a little pocket change. As I mentioned before, I use a combination of several websites like UserCrowd in order to build up an even bigger amount of pocket change. The all add up in the end and the ones that I use only take a little bit of my time. Want to Make a Full Time Income Online? If pocket change is not going to cut it for you and you are interested in building a business that will give you a full time online passive income, then feel free to check out my #1 Recommendation. 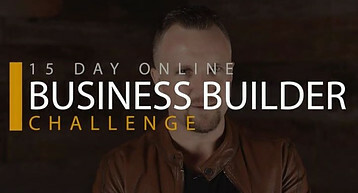 This is the exact program that I used to build my online business and quit my 9-5 job. 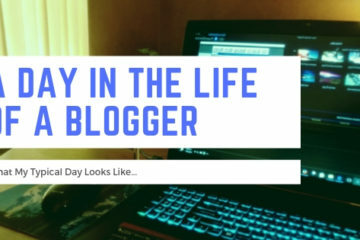 I now work from home (or wherever I am traveling) and have the freedom and life I’ve always wanted.